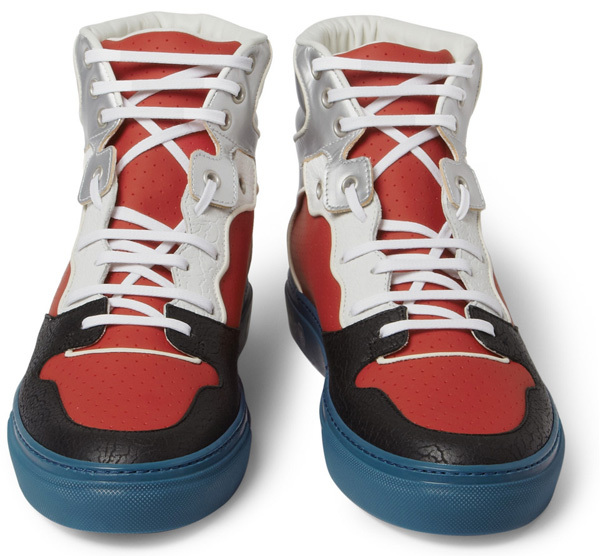 This isn’t Balenciaga’s frist foray into the once pedestrian world of sneakers. The high fashion house has released many casual silhouettes in its past, including the Contrast Panel and Mesh & Leather low tops and Felt Trainer High Tops. These ultra-luxury sneakers feature textured-leather panels, reflective metallic-silver fabric, cracked textures and bold blue sole. 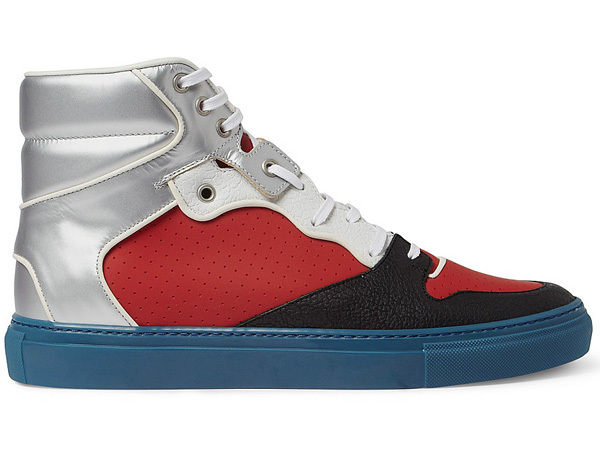 You can pick up the Italian made high-tops at MR PORTER for $555.